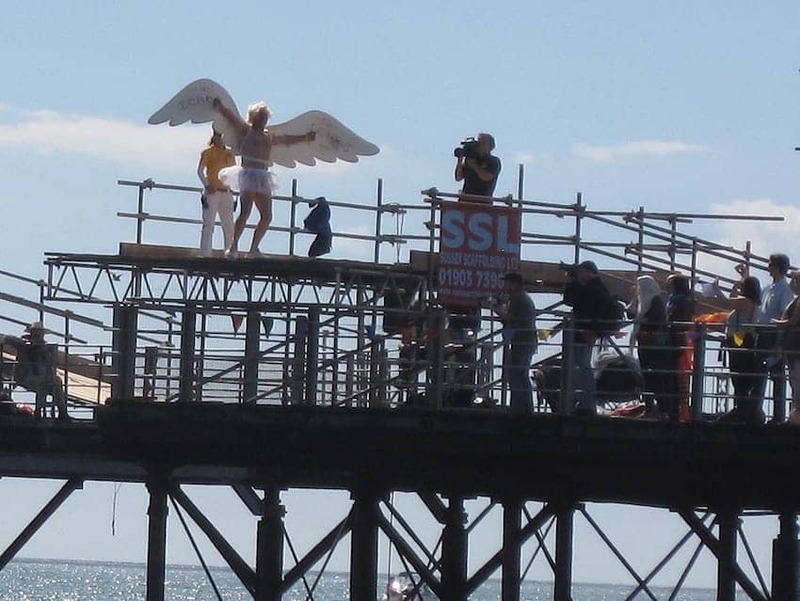 The Birdman is an annual competition for human powered flying machines that involves running off the ramp at the end of a pier and attempting to fly the furthest distance. It has been attracting international attention since its origin in 1971. Flyers take part to raise money for charity or more seriously to target the distance prizes for which the most complex of the machines are designed.